The new album from Lantlôs has only 5 songs, long songs that are slow and doomy. To contribute to the confusion the album is released on 3 different CDs each with different versions of the songs, and this is not helping to clear up the picture. Vocalist Neige from Alcest is guest artist on the production, but I can not really see that it should lift the level of their songs. Intrauterin is slow black metal that almost brings the listeners to sleep with the unpersonality they give it. Bliss is starting with a promising tempo and some substance, but soon turns into slow and boring noise. Bloody Lips And Paper Skin is messy and black from start to finish, not good enough to be included in a musical record. You Feel Like Memories again is super slow and without any kind of content to give the song some character. Eribo I Collect The Stars gives it a finish but not any different from the other songs level, more anonymity and weak performances. Lantlôs is presenting .neon, their second album. Slowly they kick off with Minusmensch, a slow, depressive tune which seems to contradict the album title, but then the song explodes and becomes a black metallic one. Lantlôs is the brainchild of Herbst who plays all instruments and writes the lyrics, but ask Neige (Alcest) to join him and handle the vocals. The opener is a sonic roller coaster ride which leads you into a post black metal universe. 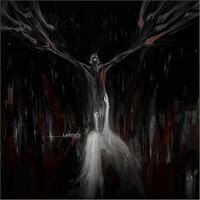 Fursy Teyssier's cover is dark, depressive and seems to visualize the music of Lantlôs. Hopefully this is self-therapy, coz if the music reflects the personality of the one who wrote it, then his life is full of anger, hate, despair and insanity. At Pulse / Surreal sadness shows through... The despair is back, but not the raw anger - for awhile. Songs like Neige de Mars and Coma take you onto a journey into a dark sonic world. The title track is the closer, in the beginning post rock, then you hear a female voice... Spoken words, telling about getting lost... About feeling like a corpse... And the black metallic sounds are kicking in. A very intense track which makes you shiver... and the awkward feeling stays til the last note. 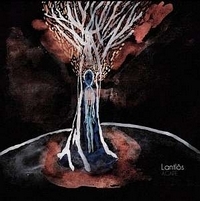 Fans of Alcest should check out Lantlôs! If you are into their debut, then .neon won't disappoint you!